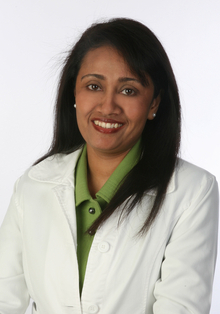 Dr. Sandhya Desai, MD, is certified by the American Board of Internal Medicine. Dr. Sandhya Desai, MD, has been in practice for eleven years in this area as an Internist. She graduated from the Scranton Temple Residency Program in 2001 and has been in practice ever since. Dr. Desai delivers timely and compassionate care to adults, eighteen years of age and older. She practices extensive preventive medicine, including pelvic exams and paps, for all women during their routine appointments, right in her office. She also takes pride in guiding, treating, and counseling young adults about leading a healthy lifestyle. Being in close proximity to the Wilkes-Barre General Hospital gives her the added advantage of delivering timely laboratory and radiological tests, which is also very convenient for the patient. Trying to eliminate any patient anxiety, Dr. Desai finds it extremely important to always communicate with her patients regarding not only abnormal but also normal test results. She additionally offers same-week appointments for routine care and same-day appointments for all urgent care. Dr. Desai also enjoys working with her extremely pleasant staff, who display efficiency, organization, and timeliness, making each patient get the most out of his or her visit. Keeping up with today's technologically advanced medicine, Dr. Blum and Dr. Desai offer Web View, a secure online service that gives patients access to their lab results and other pertinent information. This information can be shared with consultants or specialists if and when needed. To sign up for Web View, please contact the office.